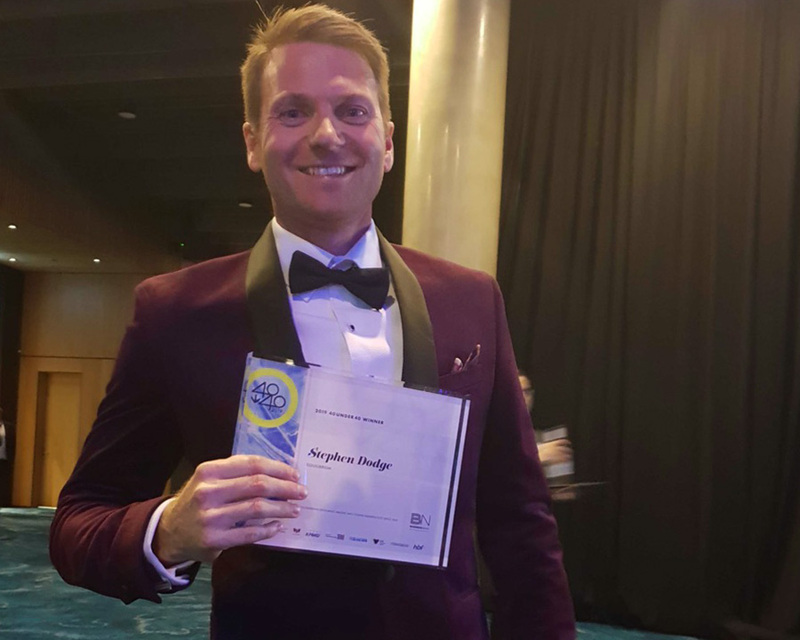 Equilibrium’s Digital Director and co-owner, Stephen Dodge, was last week named one of Business News’ 40under40 Award winners. The highly-regarded awards program has been running in Perth since 2002, and seeks to recognise 40 outstanding young business men and women who have demonstrated not only personal determination and commercial drive, but also a level of philanthropic activity to balance business-related achievements. Dodge said he was thrilled to be recognised in the same company as some of Western Australia’s most dynamic and innovative business leaders, and paid tribute to the wider Equilibrium team who he said have been instrumental in his success.